This blog is a cross-post with Gates Notes. Bill Gates is co-chair of the Bill & Melinda Gates Foundation. In 1975, Bill Gates founded Microsoft with Paul Allen, and led the company to become the worldwide leader in business and personal software and services. In 2008, Bill transitioned to focus full-time on his foundation’s work to expand opportunity to the world’s most disadvantaged people. 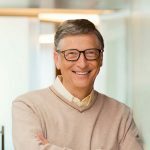 Along with co-chair Melinda Gates, he leads the foundation’s development of strategies and sets the overall direction of the organization. In 2010, Bill, Melinda, and Warren Buffett founded the Giving Pledge, an effort to encourage the wealthiest families and individuals to publicly commit more than half of their wealth to philanthropic causes and charitable organizations during their lifetime or in their will. Thanks Bill Gates! This is awesome news! Bill Gates needs to delaying his search for fix for this disease. What an amazing thing to do , my mother suffers with this awful disease as well as Parkinson’s , it’s hard. Thank you Bill Gates! My wonderful husband has just been diagnosed with Alzheimer’s and right now the hardest part of coming to terms with that for both of us is to be told it is progressive and there is no cure. We have seen the terrible effects of the disease and it is frightening to face it ourselves. It is so good to know that you are fighting to bring hope – and I believe that you will succeed. Saw this on my twitter feed and had to make a comment, this is absolutely incredible. Thank you so much for doing this Bill! What an amazing thing to do. Thank you. Bill – as a young father in my 30s’, you give me hope and excitement to age well, watching my daughters grow into women, with sound body and mind. I having growing confidence that brilliant, caring people like you are working to make the world a better place. You, quite simply, are the man. Bill, thank you for your generous gift to fight this terrible disease. Both my parents died from this disease, and my fear is that I will get it also. The loss of loosing both my parents is devastating and a cure has to be found !!. Fantastic news Bill. I have seen the devastation this illness has, not only on the sufferer but on their nearest and dearest. Frustration, disappointment, heartache—just a few of the many feelings I have seen. The love shines through from husbands, wives and children as they endeavour to manage this dreadful disease. I’m so pleased you continue to realise how fortunate you have been in being able to make such a generous and caring investment. You could well change for the better many millions of lives—now that would be a legacy to leave one day. A great decision; for similar reason I’m determined to spend at least part of my remaining active life involved in this challenge. I don’t have your money but I do have knowledge and skills; I hope the fund encourages a lot of people like me to give their time and effort. Thanks Bill Gates. My husband has Alzheimer’s and my mother died from it in 2013. It was nice to read this. I’m waiting on the outcome of an early career fellowship application looking at whether we can use simple vision tests routinely performed in optometry practices and hospitals to track the course of dementia over time, as poor vision is associated with cognitive decline. It’s not a drug trial but nobody’s really done this particular research before because the focus is so much on looking for a cure. There’s already some great internet of things research being conducted with people with dementia and their caregivers so I really hope you joining the fight will encourage more computer scientists to join up with clinicians and take the plunge in this area. I would love the DDF to research the prevention of building up the abnormal proteins in the brain that lead to Dementia. My mother recently died from her 7 year illness from Dementia. I follow recent advice of healthy diet, gentle exercise, socialising and good sleep. I write about on my website http://www.cazza.com inspiring happiness. I’m raising money for Alzheimers Research UK this Christmas, one can only dream of making $50,000,000 for the great work of talented doctors and scientists. Bill thankyou very much for what you’re doing ,my husband has just been diagnosed with dementia . I have worked with dementia and know what is going to happen.You might not be able to help my husband but hopefully some day there will be a cure for our young people of the future. That’s brilliant Bill. I run a project in Oxfordshire, England, That provides dedicated volunteers who give two or three hours each week to sit with a person with Dementia, while the husband, wife, daughter or son caring, has a break from their 24 hour caring role. Caring for someone with dementia can be a very isolating experience. I lost my government funding but am determined to keep this service going. It is free to Carers, thus not adding to their already increased financial burden. These breaks may help a carer from reaching crisis point. My own mother had dementia. I hope a cure will be found one day. Wonderful news.Thank you so much . We think we have an approach that will make history, regarding this issue. Very encouraging a high profile (and wealthy) individual gets involved in tackling this cruel disease. I would like to see more research effort focused on lifestyle, diet and environmental factors. Thank you so much , for your wonderful work. My mother leave in South East Asia. Started to develop Dementia 3 years ago . She have got memory problem and can not look after her , which made me suffer. this is such a nice blog and thanks for your support for people living with dementia.